Check out our recap from the MLB Futures Game in the All-Star Game links post below. The Columbus Clippers scored two runs in the top of the tenth inning to defeat the Louisville Bats 7-5. Bats designated hitter Daniel Dorn launched his sixth home run of the season, and right-handed pitcher James Avery surrendered just three runs in six innings in his Bats’ debut. Lexington Legends outfielder J. D. Martinez continued his torrid hitting with an eighth inning home run to send the Legends to a 3-2 win over the West Virginia Power. Right-handed pitcher Robert Donovan took a no decision despite surrendering just two runs in five and one-third innings. The Bowling Green Hot Rods scored four runs in the first inning and held off a Lansing Lugnuts rally to record a 6-4 win. Left-handed pitcher Kyle Lobstein earned his sixth win of the season after allowing two runs in six innings and striking out seven batters. 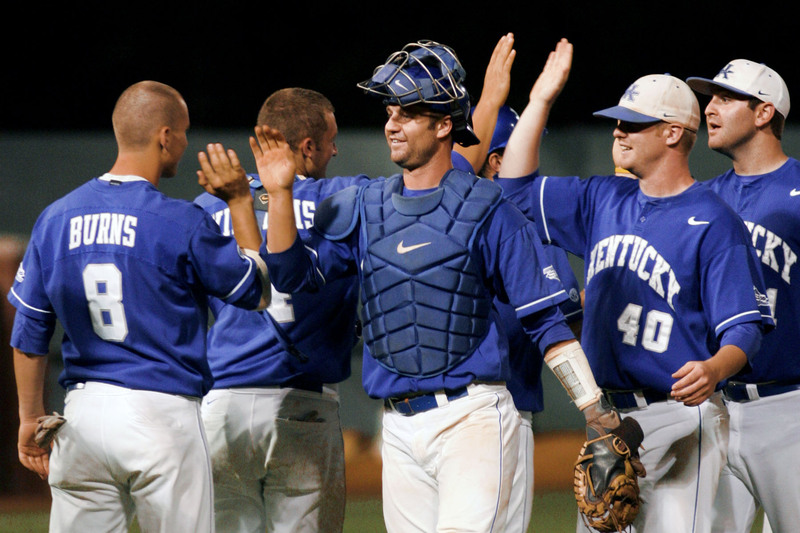 Former UK catcher Marcus Nidiffer homered for the second consecutive game for rookie-level Greeneville and was 3-4 with two RBI and two runs scored. Former UofL infielder Phil Wunderlich was 3-6 with two doubles, one RBI and one run scored for low A Hudson Valley. Former Morehead St. outfielder J. D. Ashbrook slugged his first professional home run for rookie-level Bristol. Paducah native Daniel Webb took a no-decision for short-season Auburn after allowing two runs in five and one-third innings. Webb struck out five and walked none. Lexington native Jeremy Shelby followed his monster performance from Saturday with a 2-5 performance Sunday and has multiple hits in each of his last six starts to raise his batting average to .417 in 12 games. Hawesville native Michael Mosby launched his first professional home run for rookie-level Bluefield. Danville native Patrick Cooper fell to 1-1 on the season after surrendering five runs in five innings in his third professional start for short-season Connecticut. Former UK left-handed pitcher Chris Rusin took a no decision for high A Daytona after surrendering four runs in five innings.